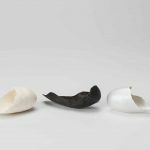 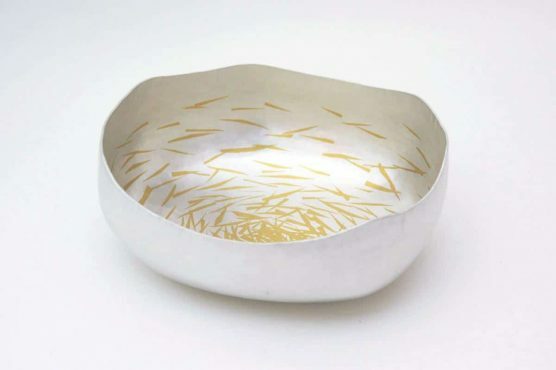 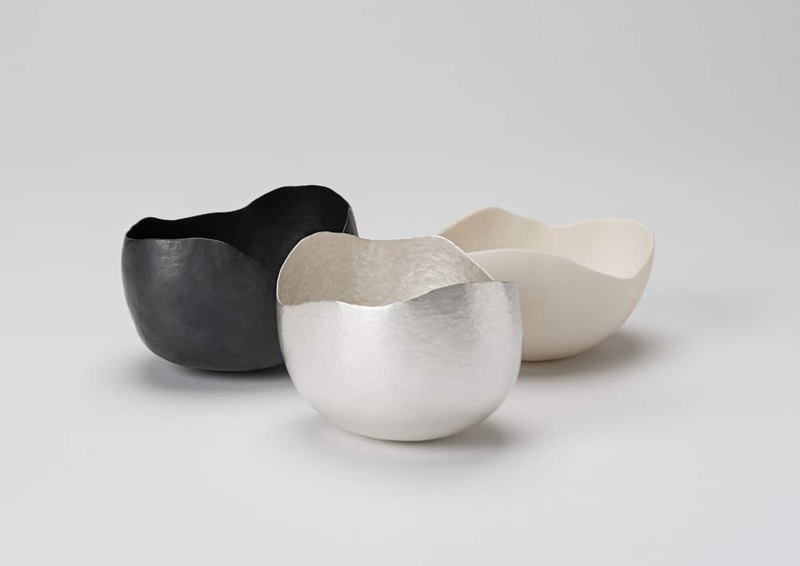 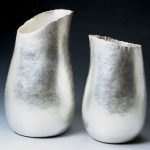 My work is focussed on the process of hand raising, creating hollow objects and vessels which have a simplicity of form with subtle texturing, highlighting the making marks. 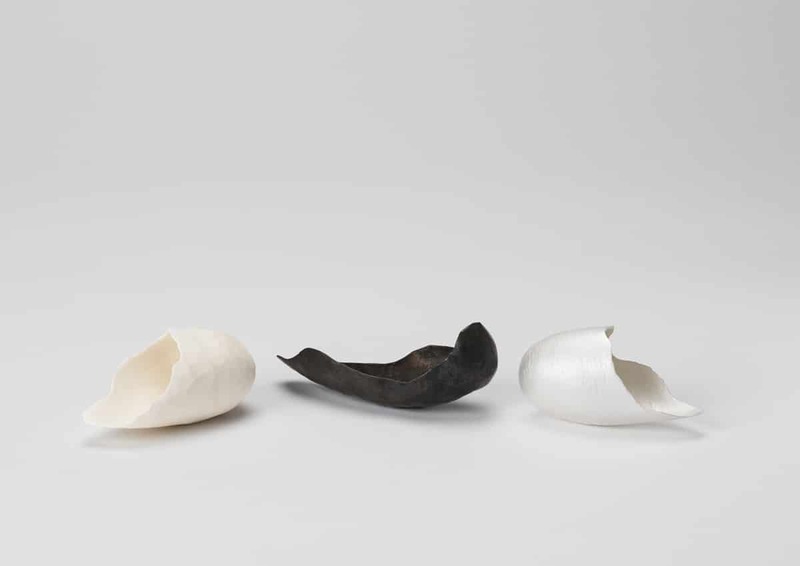 I am inspired by objects found whilst mudlarking at the River Thames. 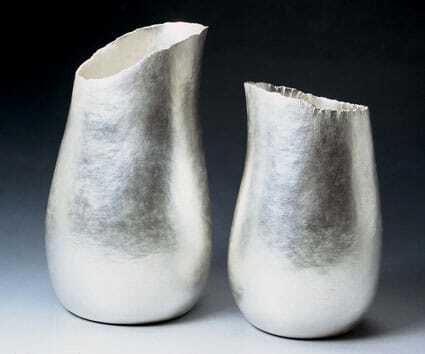 The irregular shapes come from broken shards of Victorian porcelain smoking pipes. 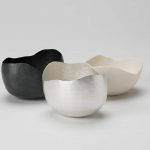 These found man-made objects have eroded to an organic aesthetic and it is this notion that I explore within my work. 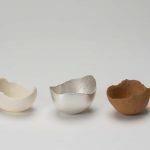 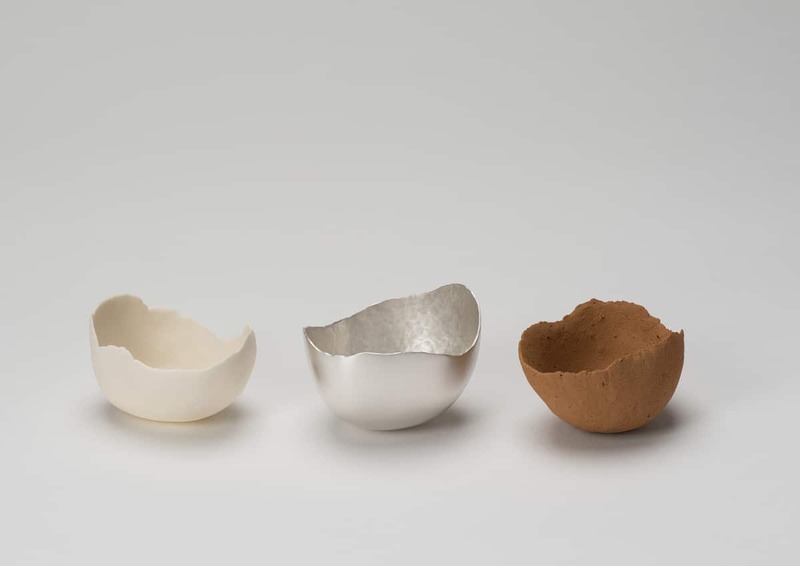 I have recently combined silversmithing with hand-built clay vessels, creating a contrast in colour and texture, whilst echoing the forms of the raised metal. 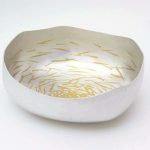 How to contact Adele Brereton.